Camps are emblems of the modern world, but they first appeared under the imperial tutelage of Victorian Britain. Comparative and transnational in scope, Barbed-Wire Imperialism situates the concentration and refugee camps of the Anglo-Boer War (1899-1902) within longer traditions of controlling the urban poor in metropolitan Britain and managing "suspect" populations in the empire. Workhouses and prisons, along with criminal tribe settlements and enclosures for the millions of Indians displaced by famine and plague in the late nineteenth century, offered early prototypes for mass encampment. 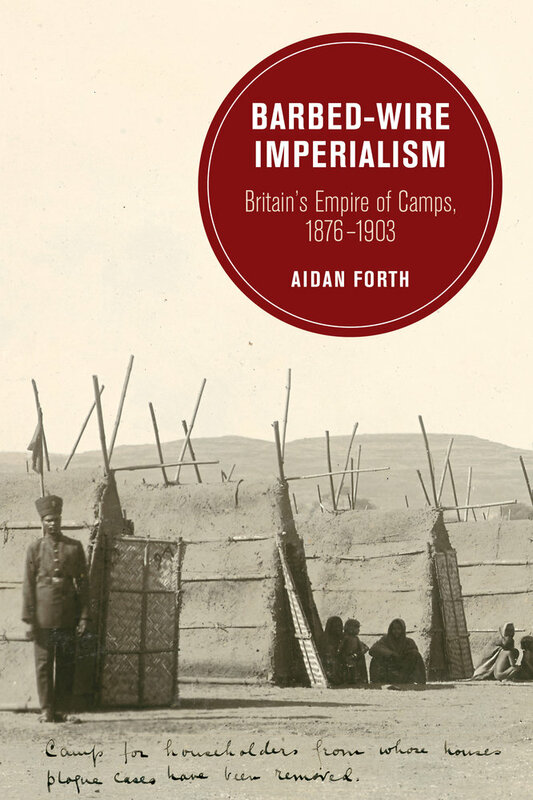 Venues of great human suffering, British camps were artifacts of liberal empire that inspired and legitimized the practices of future regimes. Aidan Forth's interview on the New Books Network.